Sunday 24th September 2017 Bury St Edmunds Chain of Hope. 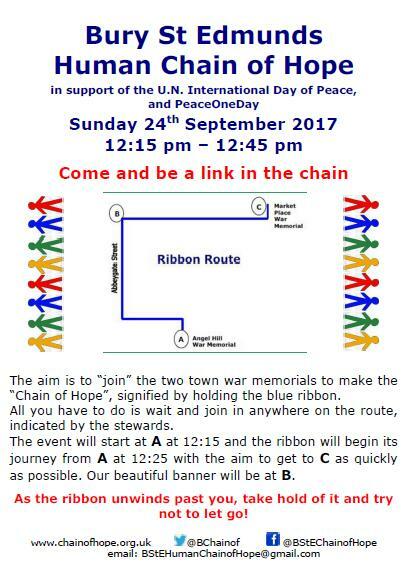 The second Chain of Hope, in support of the UN Day of Peace (21st September), and PeaceOneDay, organised by Clare Mellor. 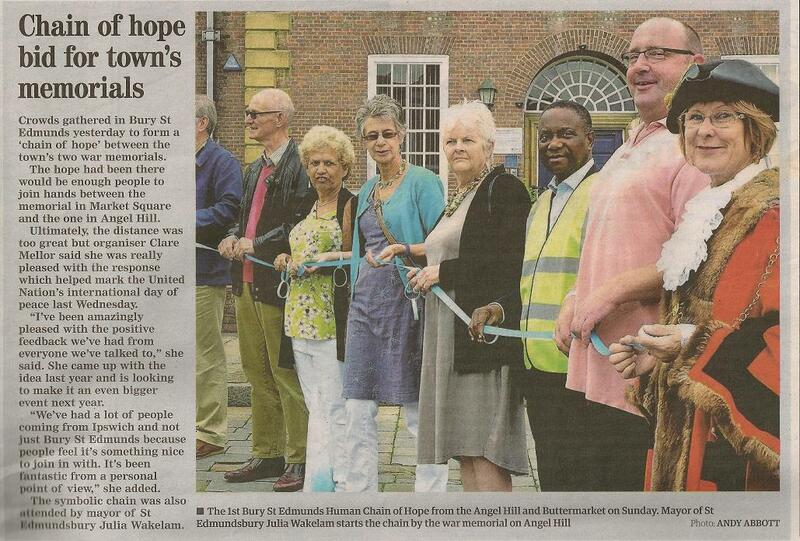 The year, linking the two war memorials with the aid of a (long) ribbon. Many thanks to all who supported this event - as stewards, or just by turning up and taking part in the name of Peace. Sunday 6th May 2017 A fantastic concert in aid of the Trinity Chain of Hope Event in support of PeaceOneDay(.org), raising funds for Bury Women's Refuge. 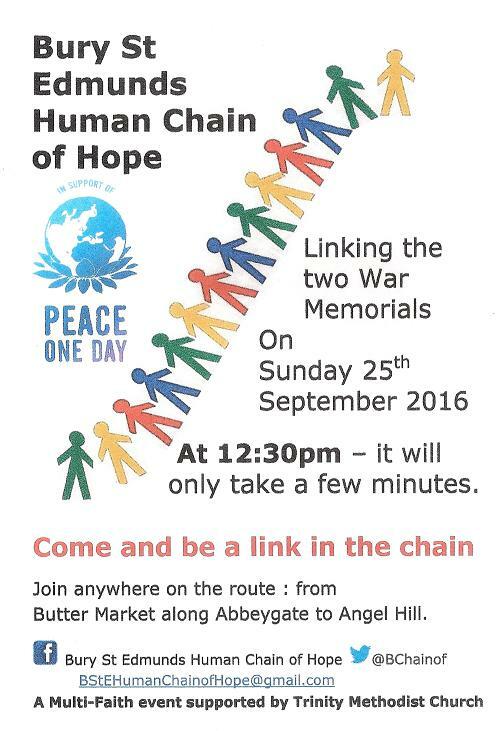 Sunday 25th September 2016 Bury St Edmunds Chain of Hope. 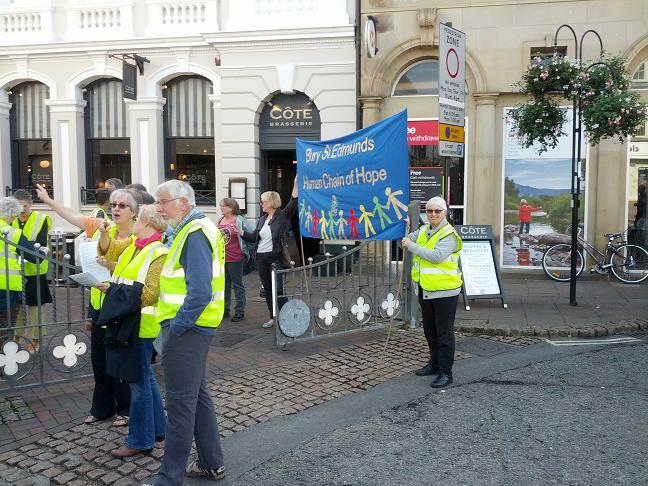 To recognise the UN Day of Peace (21st September), and in support of PeaceOneDay, Clare Mellor organised a Human Chain of Hope, to connect the two war memorials in Bury (on Buttermarket and Angel Hill).